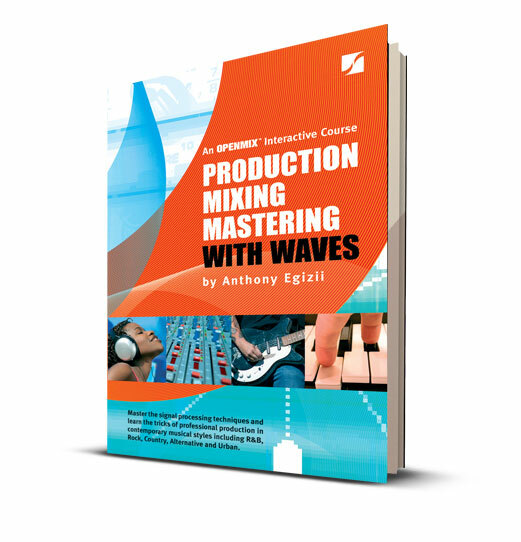 In Production Mixing Mastering with Waves, acclaimed producer/songwriter Anthony Egizii guides you through the essentials of professional music production and signal processing techniques. One of Australia’s busiest producers, Anthony Egizii has worked with many international superstars, and his songs have been performed by musical giants including Ray Charles, Gladys Knight, Dionne Warwick, and many more. 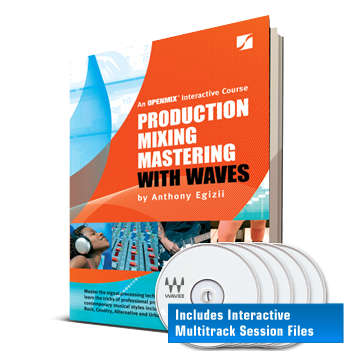 This volume is loaded with exciting features including tips and practical applications which shed light on the hitmaking process. Anthony Egizii is an Australian songwriter and producer who has composed songs performed by Gladys Knight, Ray Charles, Dionne Warwick, Jermaine Jackson, All 4 One, Marcia Hines, Jimmy Barnes, and more. His extensive musical and production experience ranges from writing and producing singles for Danielle Stearman to composing and arranging music for the 2000 Paralympic Games. Egizii has been involved in the music and recording industry for years and is currently working with some of the finest new Australian talent. He is in great demand as a producer for all types of commercial genres including pop, rock, R&B, electronic, dance, and adult contemporary. Anthony has extensive knowledge of the techniques of modern production, mixing, and mastering garnered from years of composing and studio work.